Download VWOPlugin-Demandware.zip on your local computer and extract the files. To import the cartridge, navigate to File > Import. Click the General drop-down, and then select Existing Projects into Workspace. 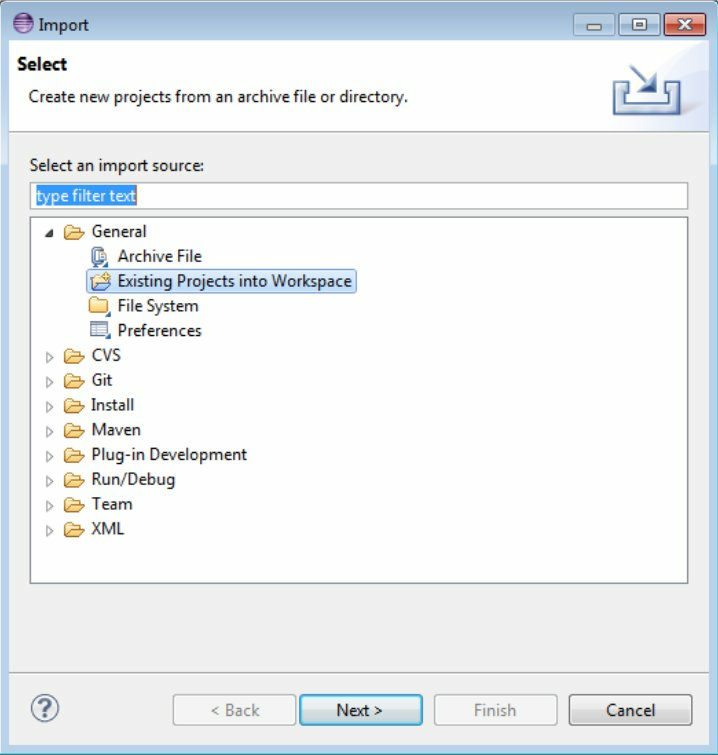 In the Existing Projects into Workspace window, select int_vwo_plugin. To link the cartridge to the sandbox, click OK.
Log on to Business Manager. Click Sites, and then select Manage Sites. Select your site, and then click the Settings tab. Scroll down to the Cartridges field, and then add “int_vwo_plugin:” to the left of what is already present. Click Business Manager, and then select Administration > Site Development. Scroll down to Import and Export Files, and then click Upload. Click Import, and then select vwo_meta.xml. The VWO cartridge is added to your Demandware platform. You can now integrate your website to push data to VWO. To learn how to integrate VWO with Demandware, click here. VWO Header: Paste the following code sample in the components/header/htmlhead.isml template file (Line 61).